1.) Starting off place sugar and butter into a large bowl then mix. Also add your eggs and mix. In a separate bowl place your cooked egg yolks and crush them with a fork. 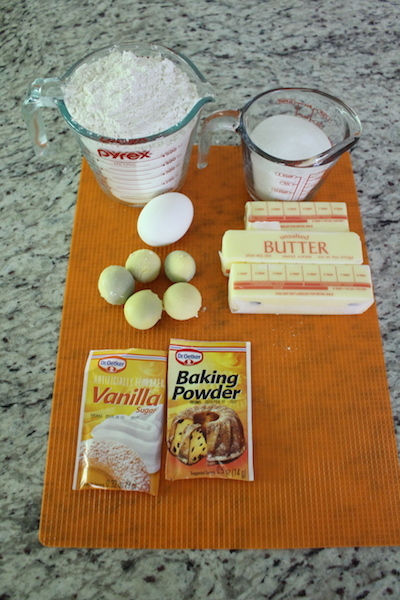 Add your egg yolks into your other bowl with baking powder and vanilla sugar. Then mix together well. 2.) Add sifted flour to your bowl and kneed until you have an elastic dough. Roll out your dough on a lightly floured surface and using a star or flower form cut out individual out pieces. Roll out all of your left over dough and repeat until you have no more dough. 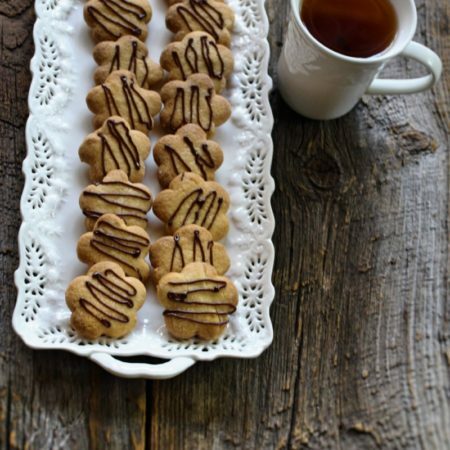 Place your cookies on parchment paper and then on a baking sheet. Bake for 20 minutes on 250ºF. 3.) Take out your cookies and let them cool off. Using a ziplock bag with melted chocolate, pipe out any design you would like on each cookie. Place on a serving dish and enjoy. Starting off place sugar and butter into a large bowl then mix. Also add your eggs and mix. In a separate bowl place your cooked egg yolks and crush them with a fork. 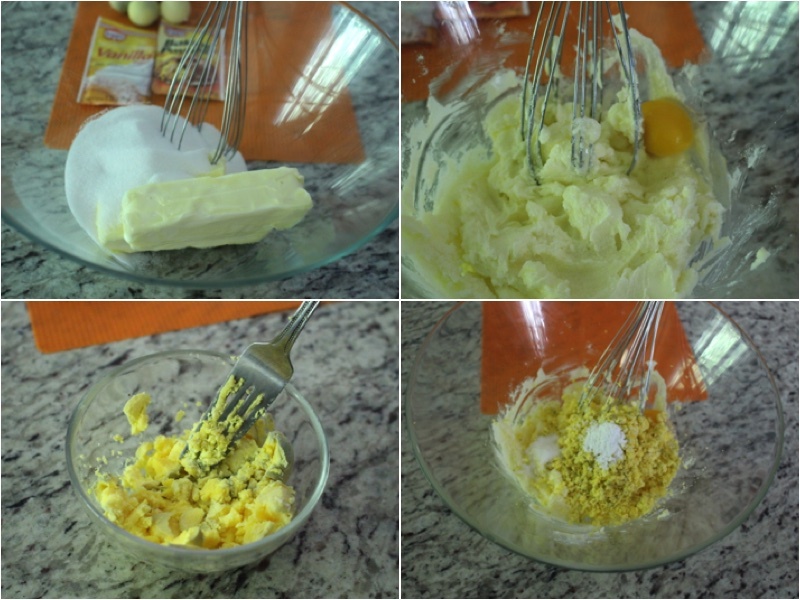 Add your egg yolks into your other bowl with baking powder and vanilla sugar. Then mix together well. Add sifted flour to your bowl and kneed until you have an elastic dough. 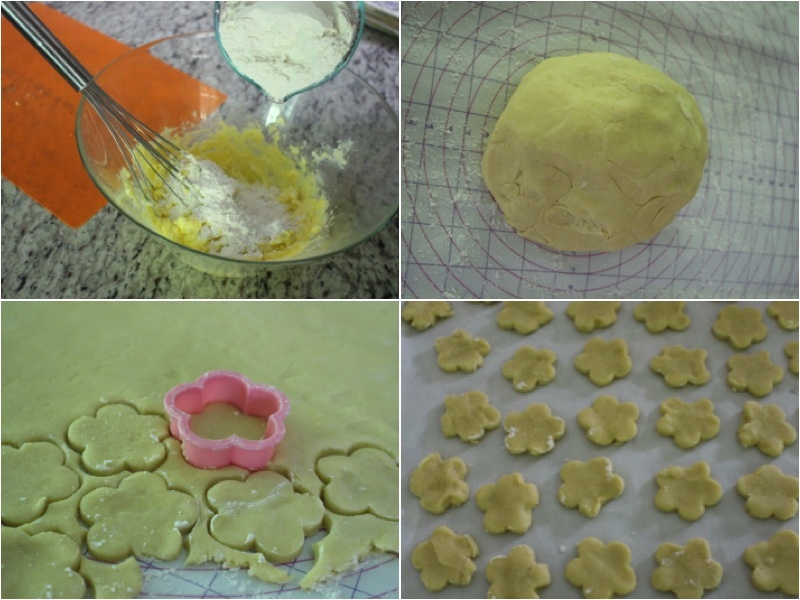 Roll out your dough on a lightly floured surface and using a star or flower form cut out individual out pieces. Roll out all of your left over dough and repeat until you have no more dough. 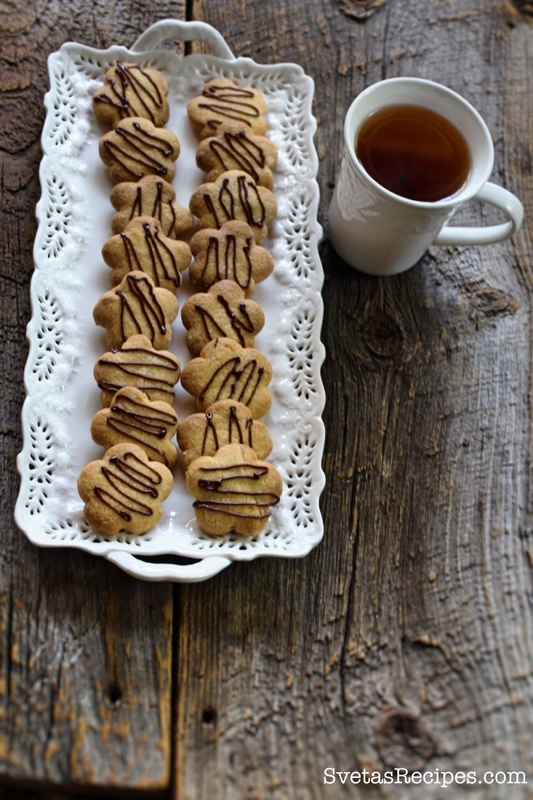 Place your cookies on parchment paper and then on a baking sheet. Bake for 20 minutes on 250ºF. Take out your cookies and let them cool off. 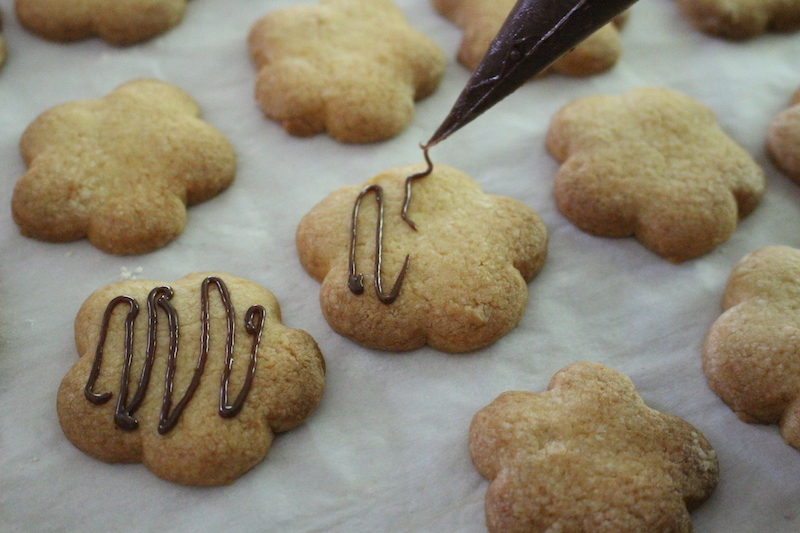 Using a ziplock bag with melted chocolate, pipe out any design you would like on each cookie. Place on a serving dish and enjoy.